Exclusive Preview for SRC Members. Singapore Bicentennial 2019 brings you "The Bicentennial Experience". Singapore's history spans over 700 years. 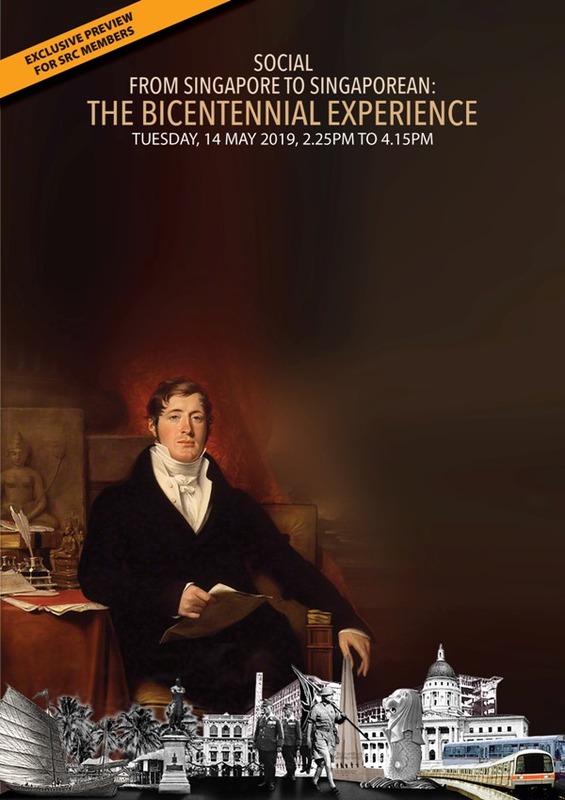 Even as we commemorate the arrival of Raffles in 1819, we want to take this opportunity to go further back another 500 years to 1299 for a longer view of our history. Experience the key moments in Singapore's evolution through different activities at Fort Canning! The Bicentennial Experience comprises of two parts; an immersive audio-visual show at the Fort Canning Centre and an interactive segment that allows you to explore, free and easy through the pavilion within the greenery of Fort Gate. Our history is richer and more diverse than we imagine. Understanding our place in the past helps to chart our future together. Register yourself for this journey of discovery from Singapore to Singaporean. *No cancellation is allowed two weeks prior to the event. Registration is strictly based on first-come-first-serve basis. Closing date for registration is Tue, 7 May or earlier if the maximum number of registrants is reached. Registration forms are available at Level 1 Lift Lobby.